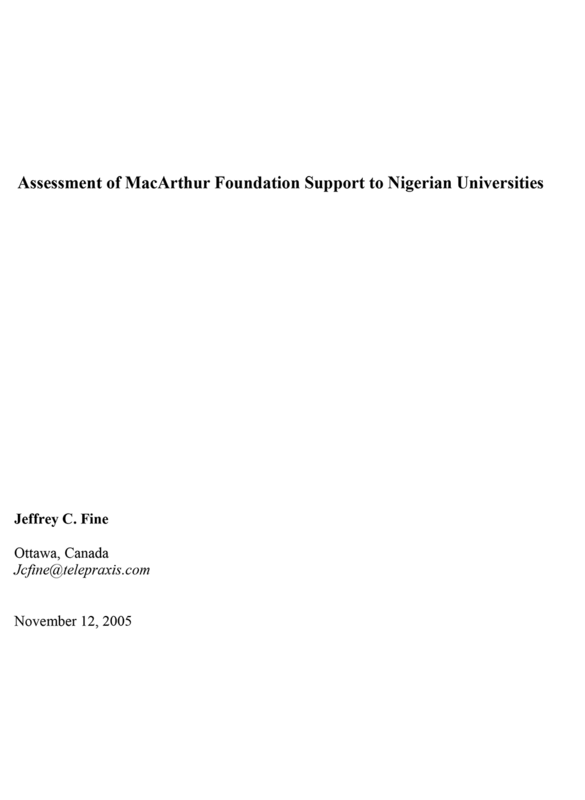 In 2001, the Global Security and Sustainability Program of the MacArthur Foundation approved multi-year grants of between $2 and $3 million to each of four Nigerian universities: Ahmadu Bello University (ABU), Zaria; Bayero University Kano (BUK); the University of Port Harcourt (UPH); and the University of Ibadan (UI). The prima facie grounds for the initiative, in terms of the Program's aims, were compelling: Nigeria is Sub-Saharan Africa's most populous country; efforts to implant democracy will depend on reversing prolonged decline in the quality of government and living standards of ordinary Nigerians; and Nigeria's success in turn will positively contribute to development of the sub-continent. Support for higher education alongside Foundation initiatives supporting human resource development and good governance have been deemed equally important. Revival of a once vibrant academic community will help inform public debate and strengthen political accountability, both essential features of any democratic polity. Restructuring of the economy will depend to a considerable extent on skills and knowledge forthcoming from a renewed higher education system. This report draws on information obtained from an in-depth "desk top" review of relevant documentation, a field visit undertaken between August 27 and September 20, 2005, and further exchanges, by telephone and email, with various informants. Copyright in the text materials is owned by the John D. and Catherine T. MacArthur Foundation, ©2013 John D. and Catherine T. MacArthur Foundation and licensed under a Creative Commons Attribution-Non-commercial-No Derivatives 4.0 International license.